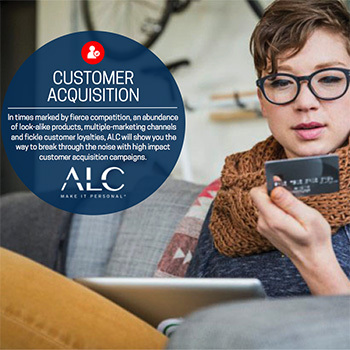 ALC Is one of the industry’s leading privately-held direct and digital data marketing services provider and integrator of multi-channel marketing data. 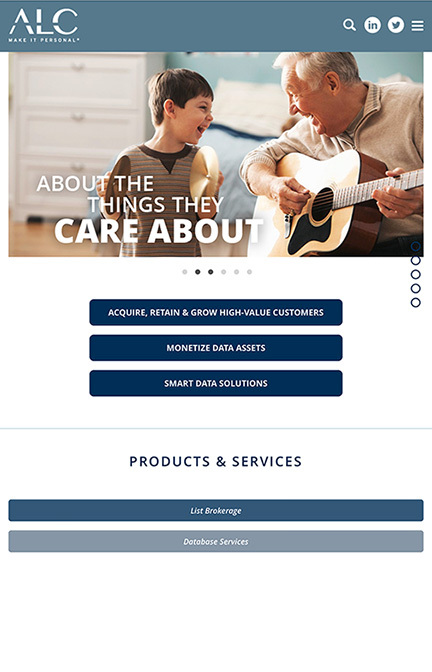 The company enables their clients to increase market share and improve bottom-line profitability through the innovative use of marketing information. 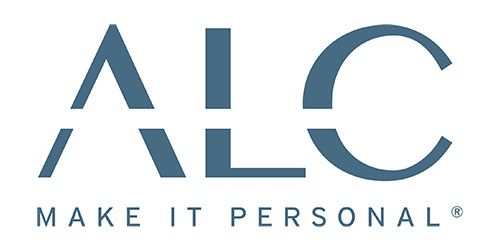 We were hired to develop a full brand identity system to tell a unique story. 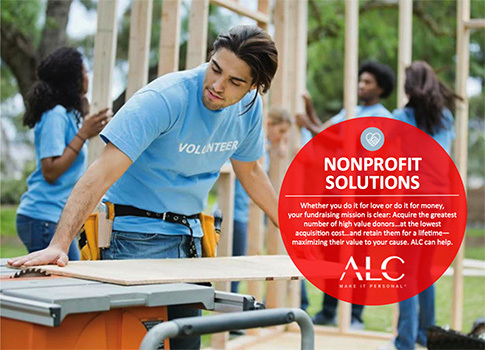 Sharkey Advertising focused on brand design, brand development and building brand equity for ALC Corporate. 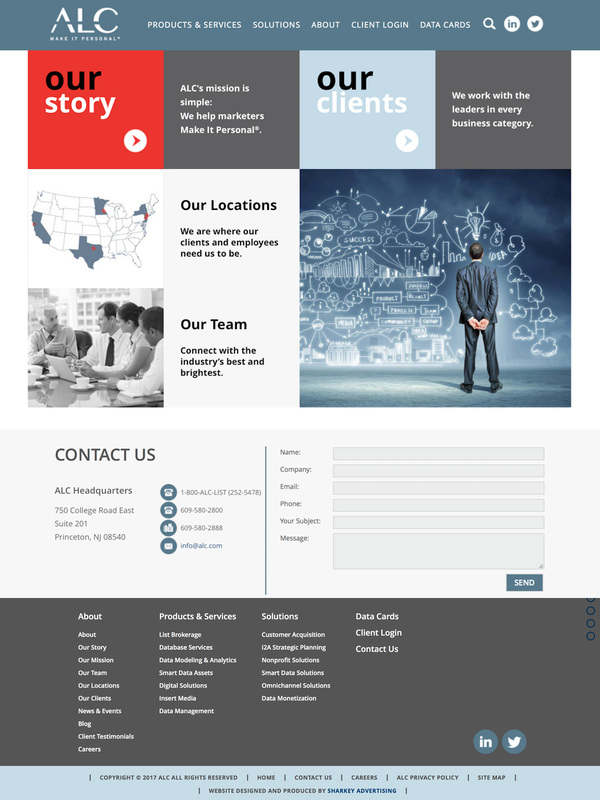 We detailed the user experience, creation of visual impact, and strong brand communication. 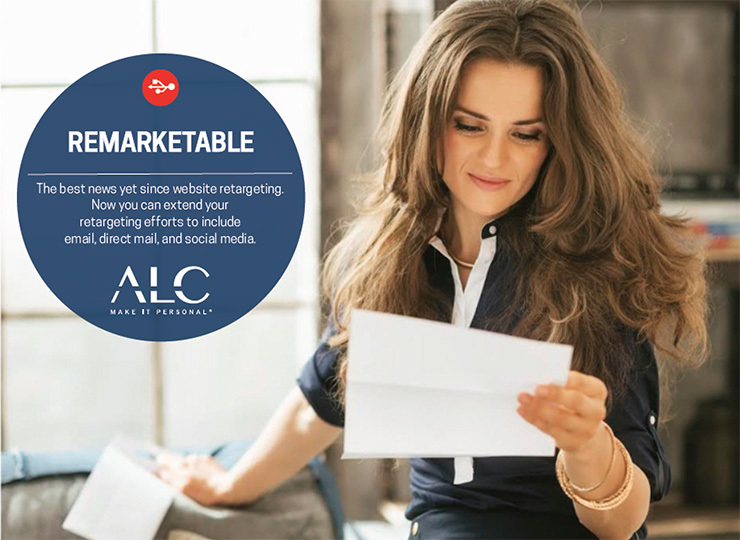 Sharkey Advertising created a look, feel and voice that is unique to ALC. 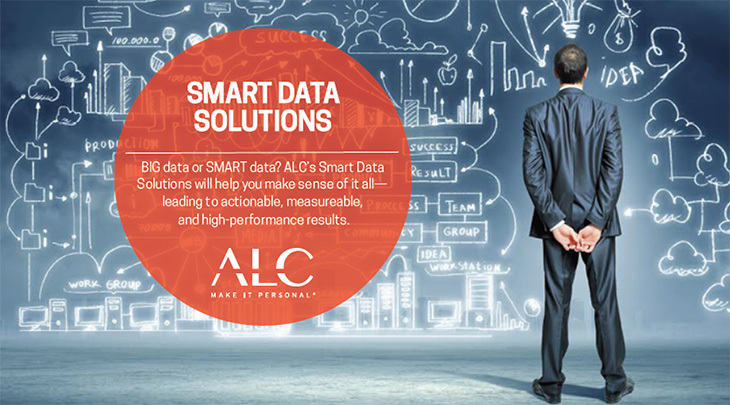 We provide a full suite of digital data marketing services for ALC including a newly developed branded logo and website touting the “Make It Personal” tag throughout. 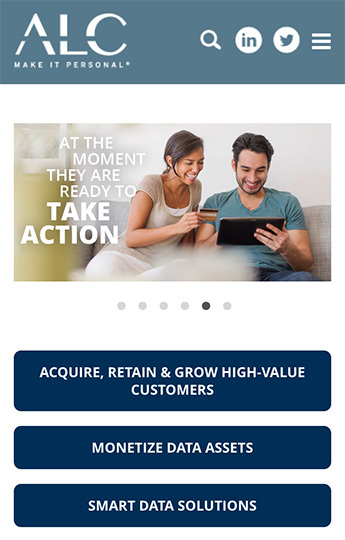 Once the new digital brand was set, we expanded it to a new corporate style guide, marketing collateral, corporate ads, signage, digital promos, press releases, and more. I enjoyed working with Fran Sharkey very much. She’s quick, creative, a real problem-solver—and fun to work with. I believe she produced some really great work for us that has stood the test of time. 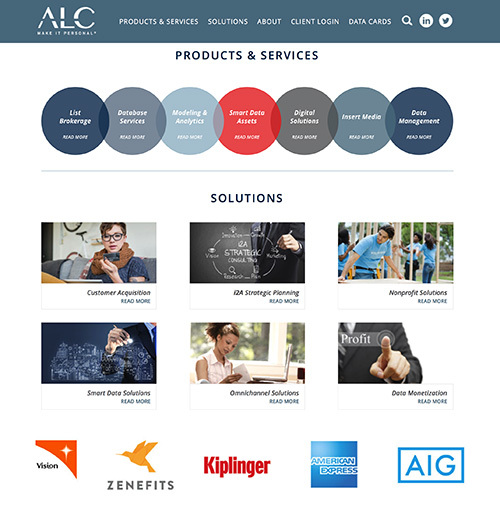 Style Guides are created to help those individuals who design and produce communications that represent a corporate entity—The identity guide explains the proper use of the main corporate logo, product logos and other elements of the corporate brand identity system. The identity guidelines are to be followed by anyone who produces print, digital materials.